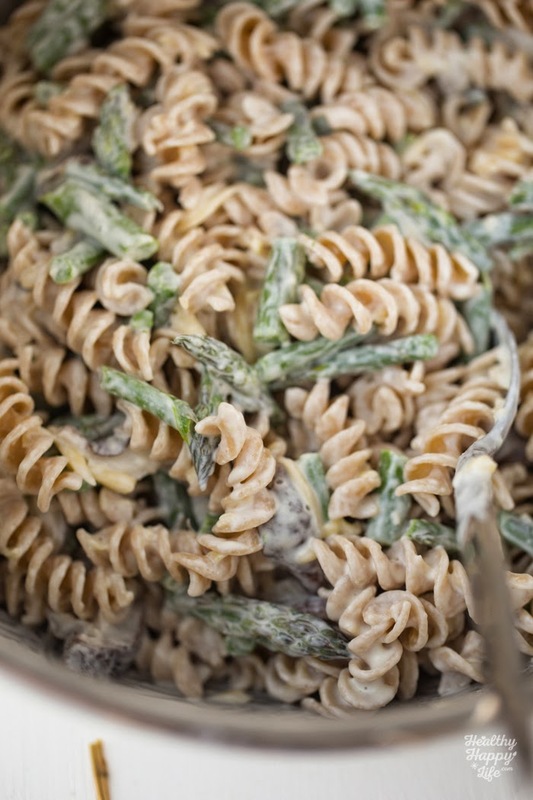 Lemon Asparagus Mushroom Cheezy Pasta Bake. Creamy Amazing. Vegan. 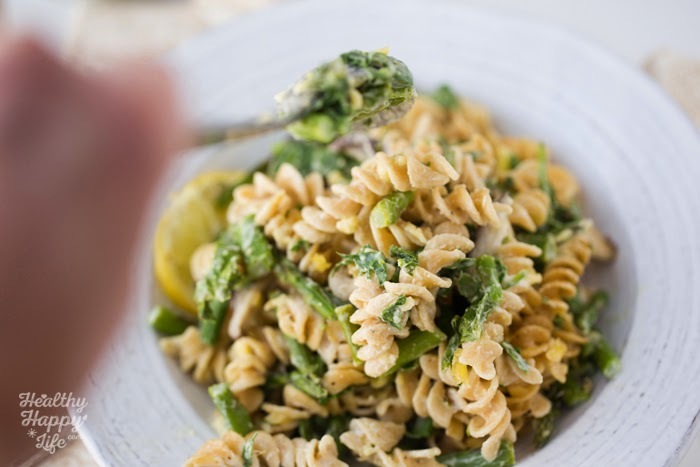 Perfect for spring, this spring pasta bake is filled with veggie ingredients like asparagus, spinach and shiitake mushrooms. 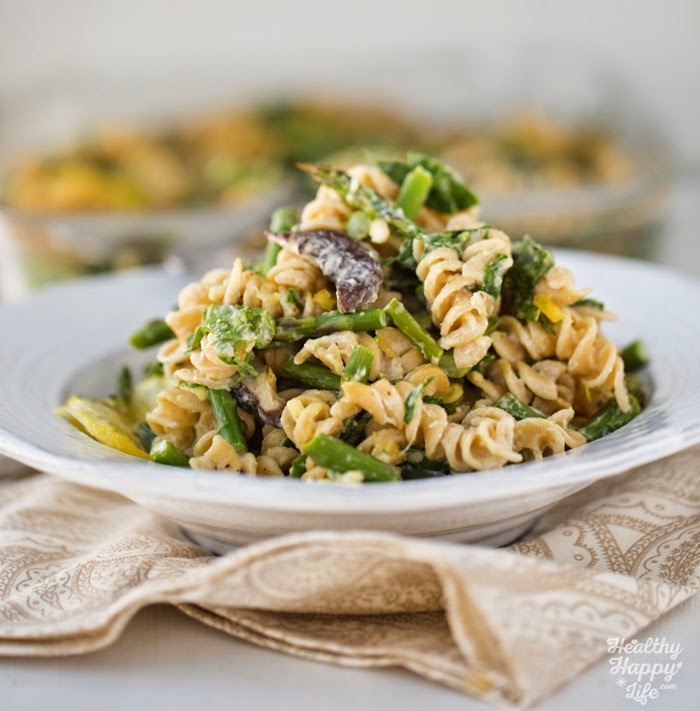 Creamy pasta merges perfectly with a hint of vibrant lemon and hearty veggie flavors. 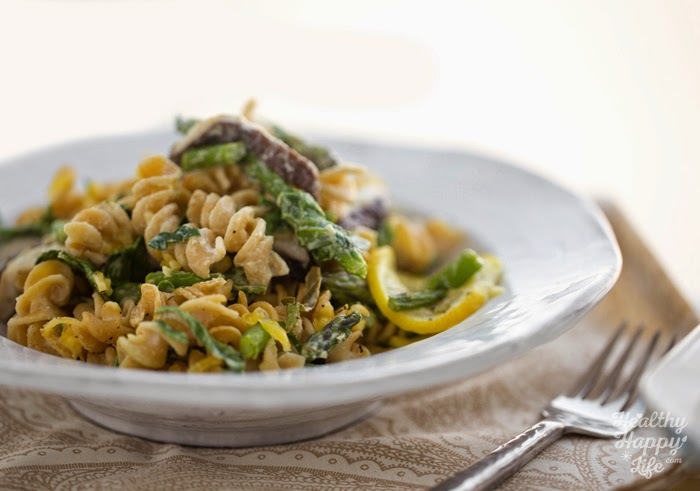 This super cheezy vegan recipe is a delicious go-to dinner. You can easily make it ahead of time and pop it in the oven a few minutes before you are ready to serve it. 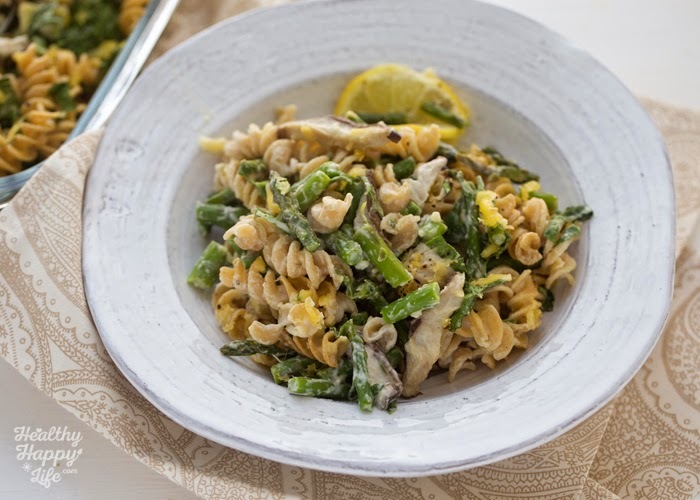 Get my Cheezy, Amazing Asparagus Lemon Pasta Bake recipe!.. Vegan cheese folded it for extra cheeziness..
Asparagus. 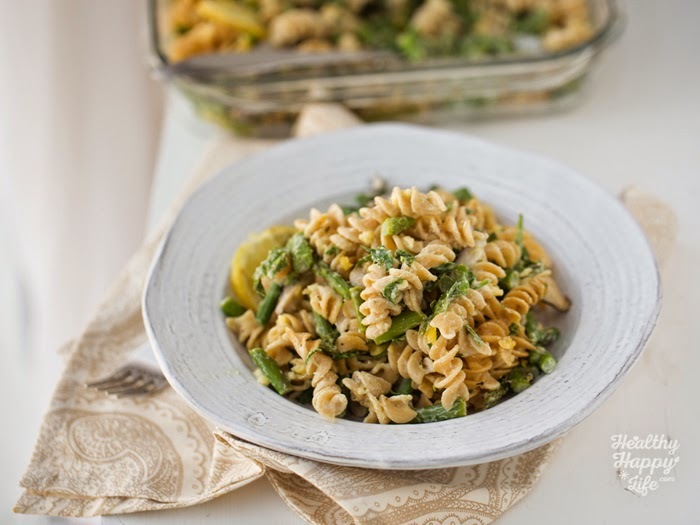 Asparagus is such a healthy spring veggie with a hearty texture, perfect for adding to hot or cold pasta dishes. Chopping asparagus also helps to break up the stringy nature of it. One cup of asparagus provides 5g protein, 3g fiber, 29% RDA of vitamin A, 73% RDA vitamin C and vitamin K and folate. Healthy veggie! 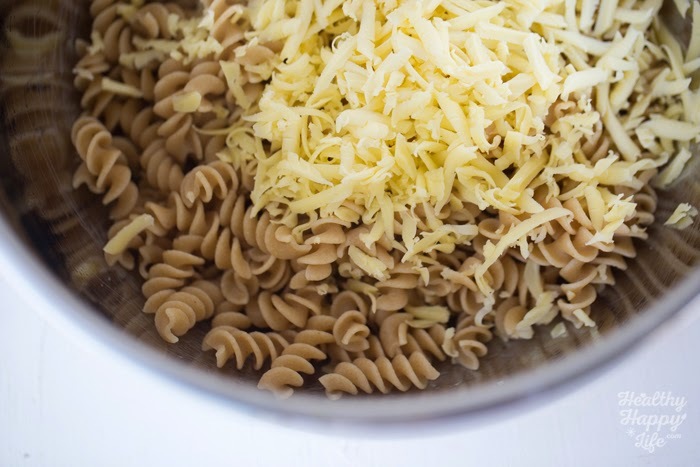 So you can have your cheezy pasta and feel good about it. Plus, I have added in healthy shiitake mushrooms and spinach too. Boom. 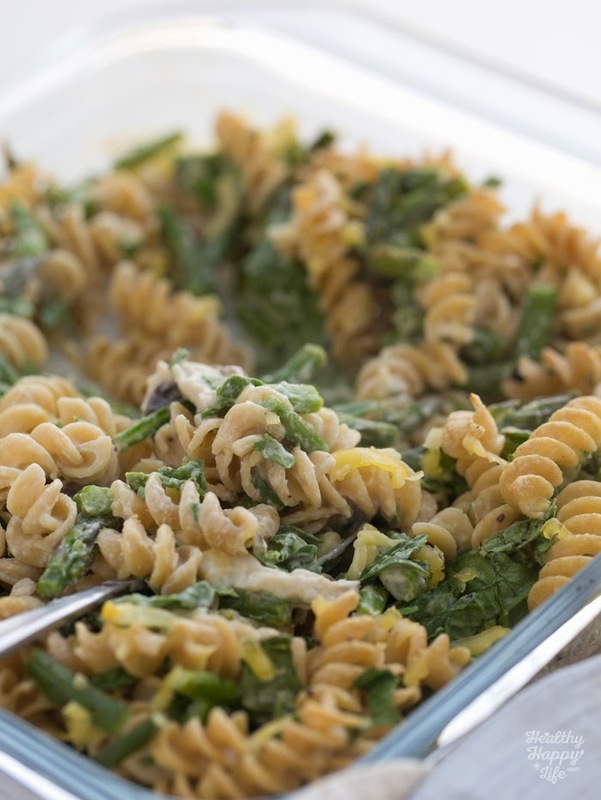 Veggie feast via yummy creamy baked pasta. 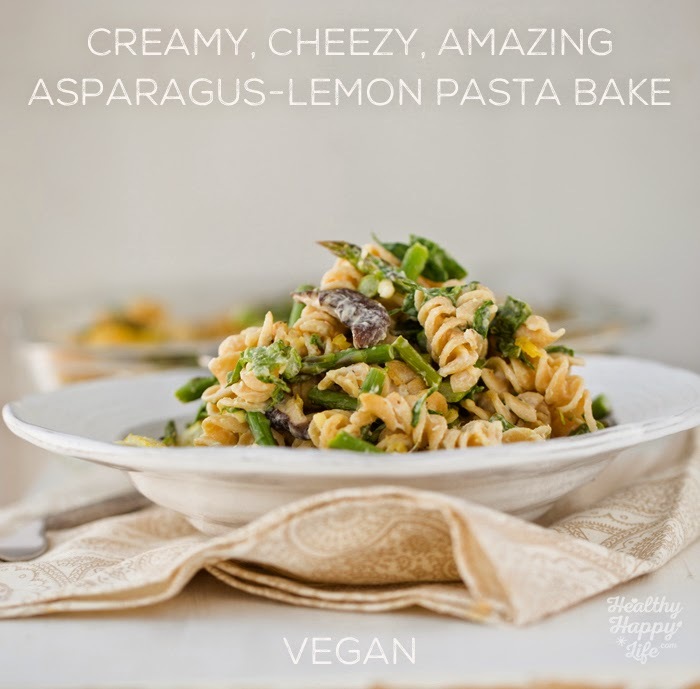 This is a spring pasta dish made using asparagus, creamy cashew cream, vegan cheese, lemon and more. Make-ahead approve. Vegan and amazing! Cook your pasta. While the pasta is cooking, using a strainer, submerge your raw cashews in the boiling water for about a minute. This will help soften them. Transfer drained, cooked pasta (steamy and hot) to a large mixing bowl. Add in the vegan cheese shreds. Fold them in so they melt a bit. Set aside. Bring another pot of water to boil and add the asparagus for just 1-3 minutes, until they darken in color. Drain and add to the pasta bowl. 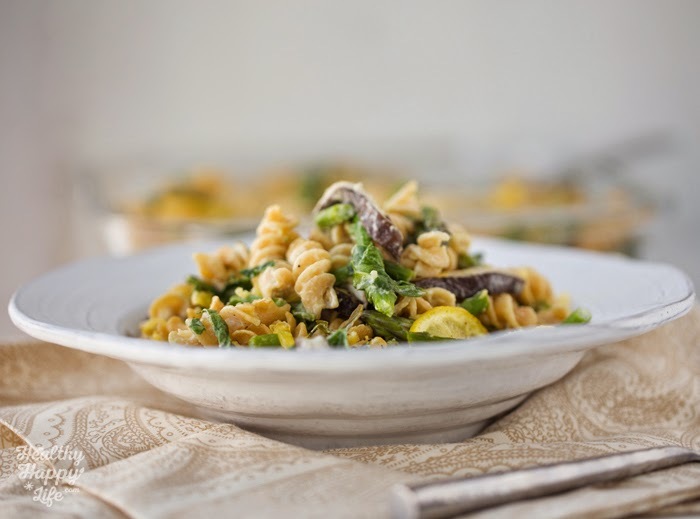 For the shiitake mushrooms, you can either add then raw to the pasta bowl (they will cook in the oven) or for extra flavor, you can saute them in 1 tsp of extra virgin olive oil for a few minutes, then add them to the pasta. Both options work, it just depends on if you want your shiitakes to have a caramelized flavor (for an oil saute) or a basic soft baked mushroom flavor. Next, in a high speed blender, add all the cashew cream ingredients and blend until smooth and velvety. 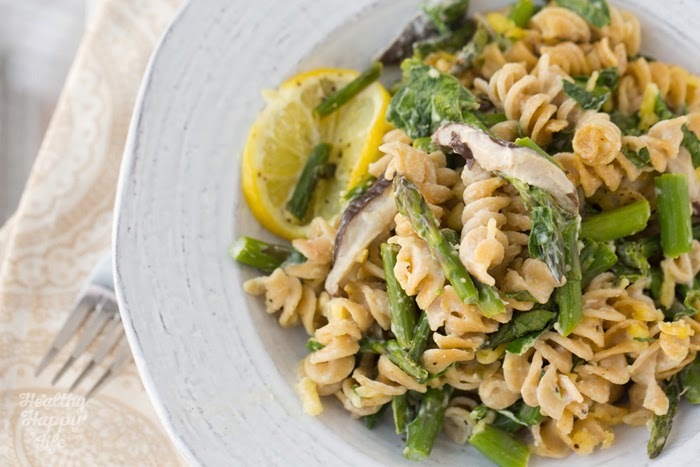 Pour the cashew cream into the pasta bowl and toss everything well. 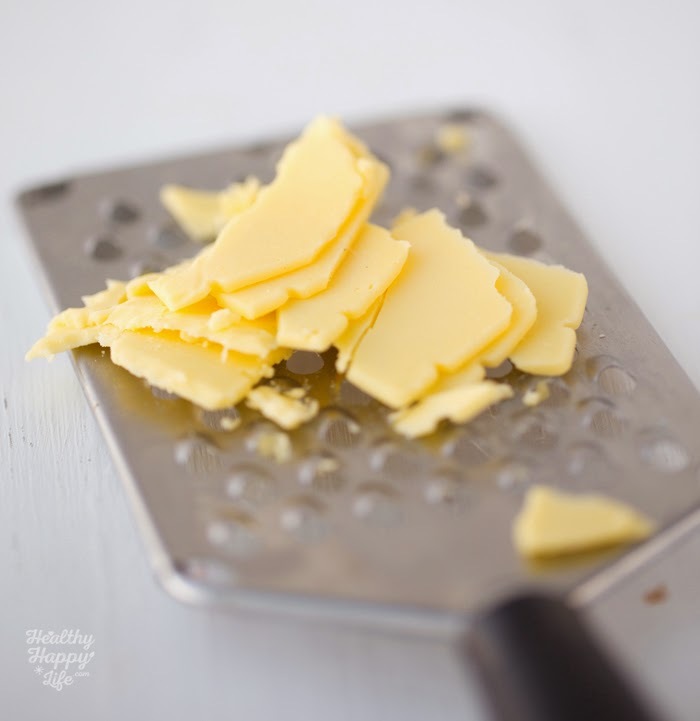 tip: add a pinch of lemon zest too for extra lemon flavor! 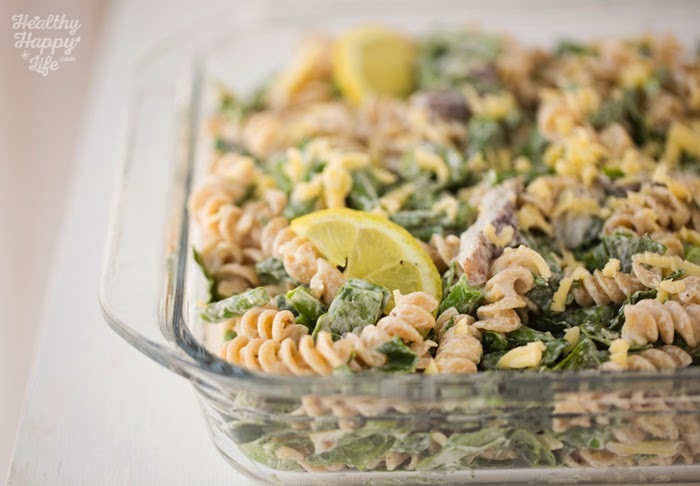 Pour the pasta into a glass casserole dish. Add the lemon slices on top. Cover with foil. You can either place in the fridge to bake at a later time, or if serving right away, place in a 350 oven and bake for 15-20 minutes. This softens the pasta and allows the sauce to soak into the pasta and veggies. Serve warm and steamy with those baked lemon slices as garnish. Fresh black pepper over top. Optional: add fresh basil as a spring garnish!